Both men have close ties to President Trump and actively supported his campaign. Trump gloated about the news in a late-night tweet on Thursday, saying the call were "conclusively found NOT to be made to me." Trump’s ties with Lorber run even deeper, and have attracted the interest of congressional investigators, sources said. In the 1990s, when Trump started exploring real estate options in Russia, Lorber accompanied him on a tour of Moscow. A real estate developer who has done business there, Lorber appeared in a biographical video of Trump that aired on jumbotrons at the 2016 Republican National Convention before his acceptance speech. A message left for a spokesperson at NASCAR was not immediately returned. The three phone calls with Donald Trump Jr. to blocked numbers in June 2016 have until now fueled questions about whether Trump Jr. informed his father about the now-infamous Trump Tower meeting before or after it occurred. The controversial meeting between high ranking members of the Trump campaign and an ensemble of Russians has been a source of intense interest from investigators seeking to determine whether the campaign worked in concert with agents of the Russian government to impact the election. 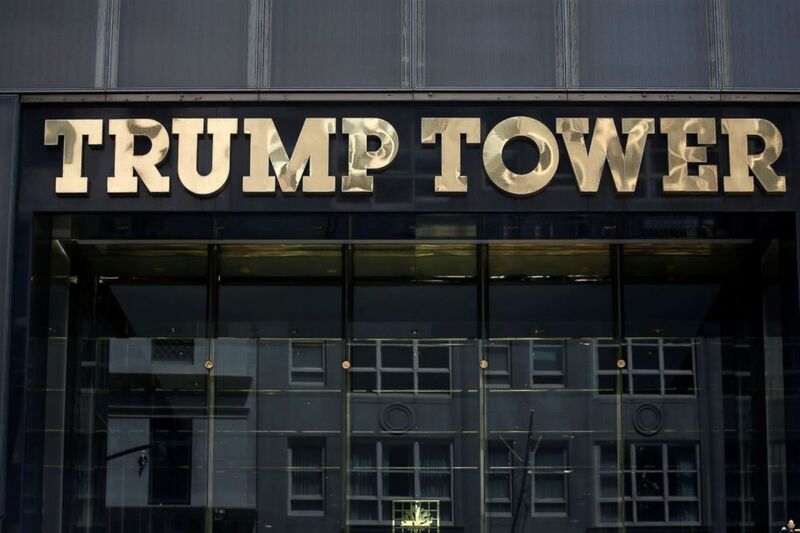 (Carlo Allegri/Reuters, FILE) The Trump Tower logo is pictured in New York, May 23, 2016. CNN first reported Thursday that the calls did not go to President Trump. According to documents released by Democrats on the Senate Judiciary Committee in May, the president’s eldest son spoke to an unknown person with a blocked phone number twice on June 6. Trump Jr. placed those calls -- which lasted 11 minutes and four minutes, respectively -- as he coordinated logistics for the meeting with a conduit to the Russians. According to testimony from one of the Russians who sat in on the meeting, the Trump campaign officials became “very frustrated” and “instantly lost interest” when it became clear that the Russians did not have any incriminating information on Clinton. 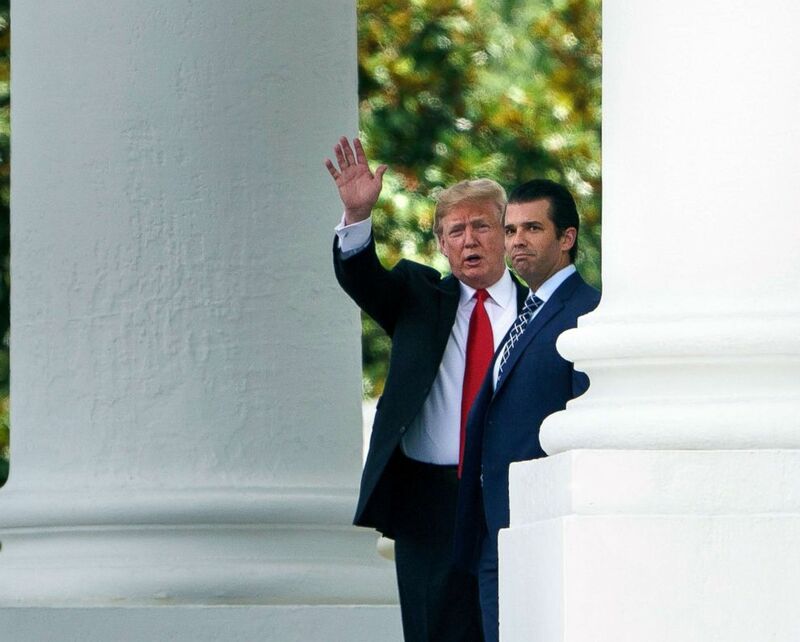 (Brendan Smialowski/AFP/Getty Images) President Donald Trump (L) and his son Donald Trump, Jr., walk to a motorcade from the North Portico of the White House on July 5, 2018 in Washington, D.C.
Democrats in Congress have for months wondered openly whether the blocked phone numbers could belong to the elder Trump. Had that been true, it could have provided evidence conflicting with the president’s insistence that he had no foreknowledge of the meeting. 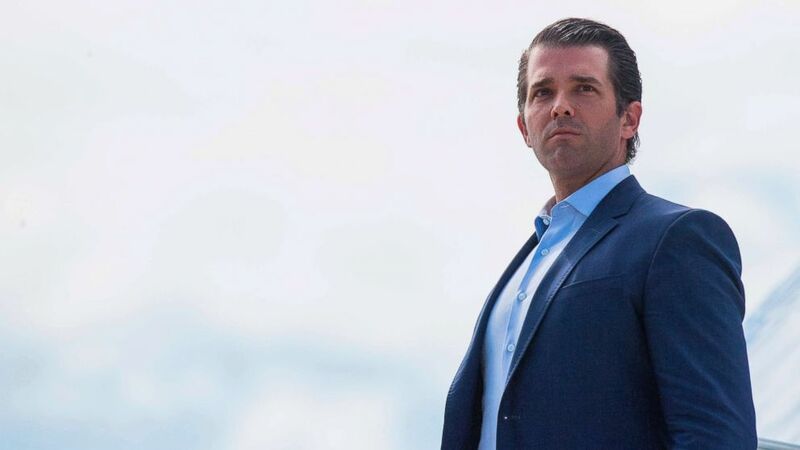 Trump Jr. testified to the Senate Judiciary Committee that he could not recall who was on the other end of the blocked numbers. Lorber donated $100,000 to Trump Victory, a joint fundraising committee for Trump and the RNC, and served as an economic adviser on the campaign. Since Trump’s election, Lorber has remained a close ally outside the West Wing. In August 2018, he hosted a fundraiser for Trump Victory at his Long Island mansion.